Nottingham Outlaws top four play-off hopes suffered a blow when they crashed to a hugely disappointing home defeat on Saturday. A terrible start saw them leak 16 points in the first ten minutes and from that point on they were always chasing the game before finally running out of time, slipping to a 30-26 defeat against a feisty Siddal outfit. The Outlaws made their usual swathe of changes to the team that lost at Batley last weekend with Adrian Chaima, Paul Calland and Ollie Perry coming back into the side whilst James Hague came in for a well earned debut after impressing in the Academy in recent weeks. The match started badly for the Outlaws who seemed a yard off the pace against a busy Siddal side from the get-go. Indeed from the very first scrum the Outlaws found themselves behind on the score board when a looping Outlaws pass was intercepted for a try under the sticks. What happened next can only be described as a horror show as in the space six minutes the Outlaws defence disintegrated around the play the ball as Siddal ran in two further try’s to race into a 16-0 lead with only ten minutes showing on the clock. A shell shocked Outlaws team were definitely up against it as not only where they three scores adrift but also two men down as George Strachan and Sam Dennison both picked up injuries, limiting the interchange options. However the home side finally rallied and they began to chip away at the deficit as Ciaran Dean went over in the corner and when Jimmy Goodwin crashed over after a powerful surge the Outlaws had pegged back the Siddal lead to 16-10. With thirty minutes played the match suddenly turned nasty and a heated exchange of views led to a red card for the visitors. The Outlaws immediately capitalised on their numerical advantage as Alex Whittle opened up the Siddal defence before exchanging passes with Adam Cunliffe who swept over for a try that levelled the match at 16-all. Despite such a bad start the Outlaws seemed destined to go into the half time break on even terms but once again a soft penalty followed by some weak defending, a feature in recent matches, led to a Siddal score as the visitors crept back into the lead at 16-20 despite being a man down. During the interval the Outlaws coaching staff did their best to revitalise an out of sorts Outlaws side that was clearly lacking in confidence and self belief. However any hopes of an early comeback were dashed in the opening minutes of the second half when a repeat set saw the Outlaws yet again defending on their line and yet again some weak defence saw Siddal extend their lead to 24-16, forcing their way over from short range despite plenty of Outlaws players in attendance. 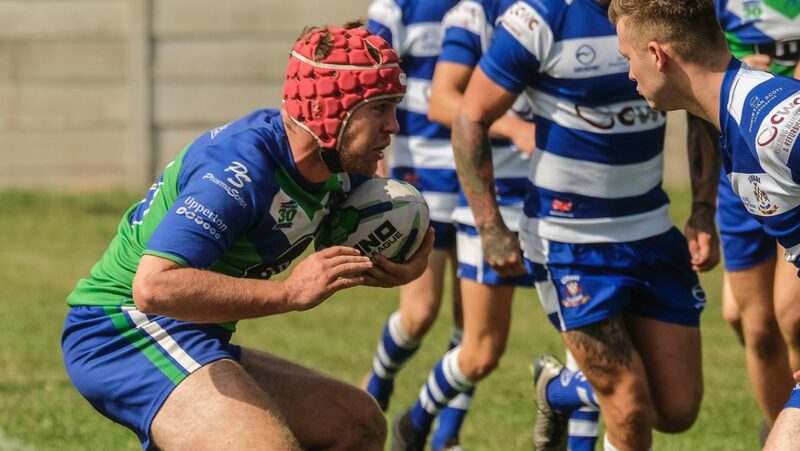 The early Siddal score saw the Outlaws heads begin to drop and they leaked yet another try as Siddal swept the ball wide, somehow creating an overlap despite being a man down and at 16-30 in arrears with twelve minutes left on the clock the Outlaws appeared well beaten. Despite having a mountain to climb the Outlaws did give it a go in the last ten minutes and try’s by Aidan Foster and Adam Cunliffe brought the two sides back to one score between them but it was too little too late as the referee brought the match to a close with the Outlaws still four points behind at 26-30. The Outlaws now have one game left in which to try to grab that elusive play off spot. However before then they take a break from competitive fixtures with a friendly under the floodlights at Lenton Lane against local rivals Sherwood Wolf Hunt on Friday 31st August.